The Dr. says I only need supplemental oxygen now when I’m up moving around. And I get to step down to 10mg of Prednisone in February. That was really good news. Did some knitting on the Chain Links Socks last night. I have almost knit enough of the leg to show off the pattern. I’ll try and post a pic tomorrow. I like the yarn combination I’m using for these socks. 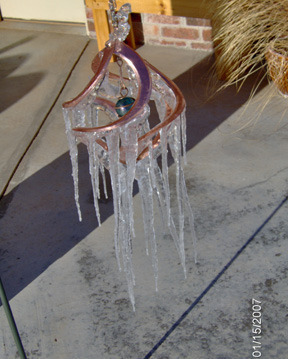 Here is a pic to show just how cold it is here. Yesterday the snow and ice was melting off of the roof and dripping down on to my windspinner, where it refroze within seconds. Now for a little fun. Here is my peculiar aristocratic title. What a mouthful! In the space of 15 minutes, we have received sleet, thunder, lightning, heavy freezing rain and now snow mixed with sleet. I just hope the power stays on. I don’t have much to post about today. 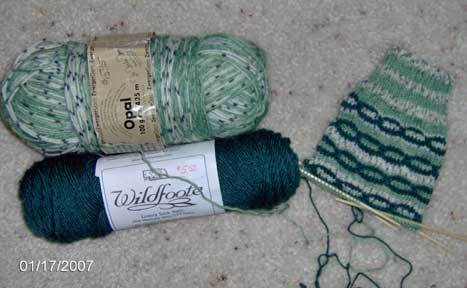 I did cast on for the Chain Link socks, from the Six Soxs Knitalong group. 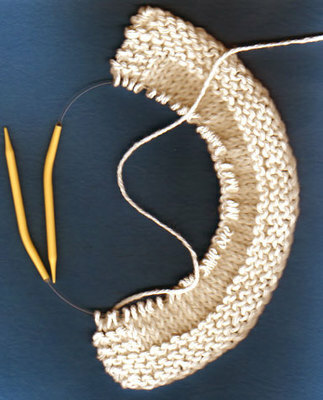 Have finished the ribbing and will start the leg pattern today. Hopefully within the next couple of days I will have some progress pics. The mid month dishcloth KAL starts tomorrow. The pattern is always a mystery. The supply list calls for a cable hook, so there will be cables. Hooray!! 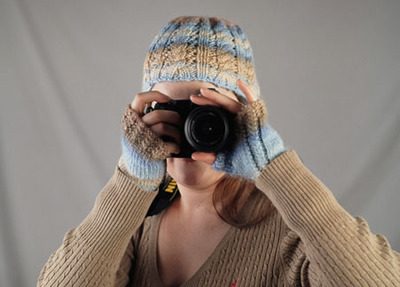 I think cables are one of my favorite things to knit. Probably because I have to pay close attention and I don’t get bored. 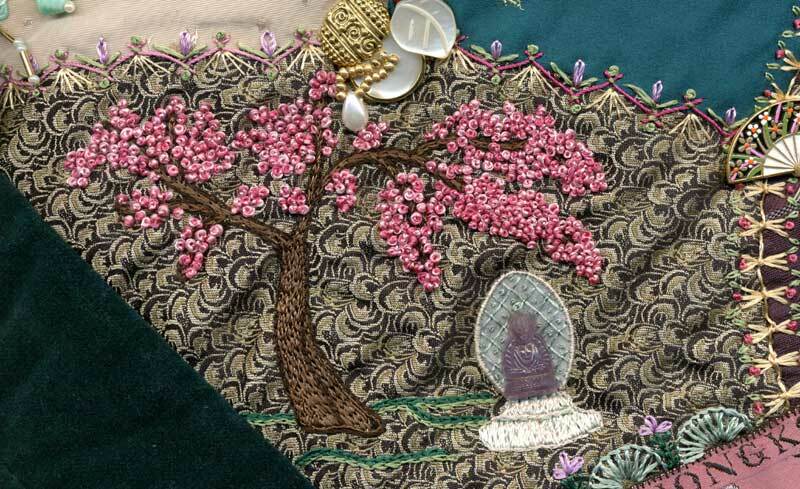 To add some brightness to this dark, gloomy day, I am posting a pic from the 2007 OKC Winter Quilt Show. 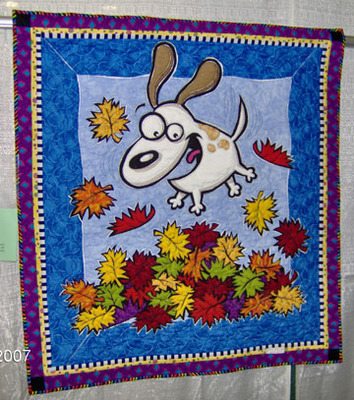 I don’t think anyone can look at this quilt and not smile. Weather update – 10:11 am – Heavy snow with thunder and lightning. I don’t have straight needles in the right size. Circular needles are easier on my hands and shoulders. We still have a lot of snow and ice, but the streets aren’t looking too bad. Of course, this is just my view from the study window. I haven’t been outside. The snow is turning to ugly slush…. We ended up with between 6 and 7 inches of snow. The sun is out, so the ice and snow are melting just enough that when the sun goes down it will freeze all over again. Since our house faces north the sun doesn’t hit the front porch or sidewalk so they are still covered with ice and snow. I love cold weather. But since my breathing problems started, the cold air just takes my breath away. The temperature outside is 32° so I don’t think I will be out shoveling the porch and sidewalk. I recently joined a Yahoo group called Monthly Dishcloths. They have 2 KAL’s (knit alongs) every month. Go here if you want to see some of the dishcloth patterns the group has knit so far. Today the first 10 rows of the first December KAL were posted. These designs are a mystery until you’ve knitted enough of the pattern to tell what it’s supposed to be. It’s fun and you are only knitting a few rows every day. Here is a scan of the dishcloth so far. On the first day there’s no telling what it will be. Since this is December it will probably have something to do with winter or Christmas.